My baby girl will be two months old this week! One part of me feels like I have been in a state of fuzz forever and the other can’t believe she is already two months old! This month has been pretty good! 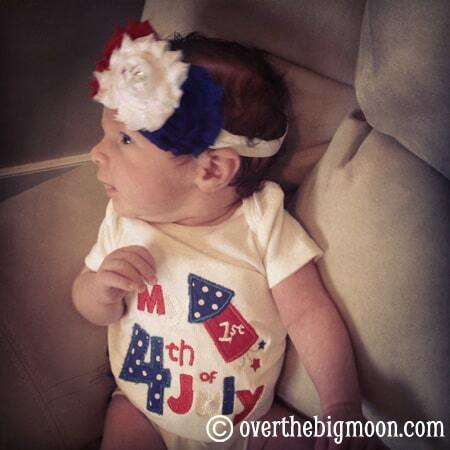 We are SO enjoying her and her sweet little spirit! I’m still having trouble figuring out how to squeeze work in, but Dylan is growing up fast and becoming easier by the day! We had to get Dylan on Acid Reflux medicine and it has really helped her. Before, we would have to hold her upright for 30-45 minutes after each feeding and she would squirm in discomfort for that long too. You could tell she was really uncomfortable. Then she would usually split up like 90 minutes after her feeding and you could tell that the spit up was coming from her stomach (it was really stringy and slimy) and it really hurt her. The poor girl was not loving life and we were exhausted! I’m so glad that we have gotten it under control for both our sakes! She is now sleeping through the “late” feeding, so generally I only have to get up once in the night and then she wakes up again about 6 am. My hubby is pretty fabulous though, so if her middle of the night feeding lingered due to her reflux, he’ll get up with her and let me sleep til 7! Just this week though I had a couple of the feedings only had me up for 30 minutes! It was amazing! Also this last week she has been allowing me to put her down a lot more. I think it’s cause she is now able to focus on people and things more! 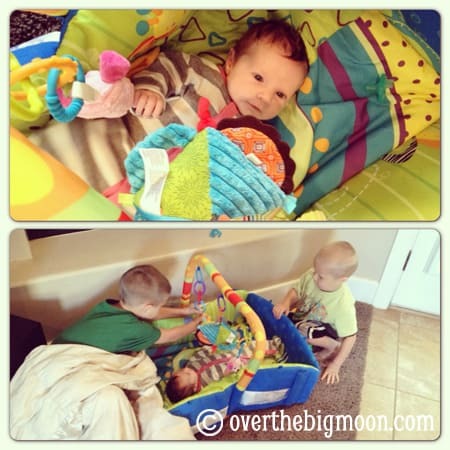 We went and bought her a few toys to hang from her play mat this week and she has been loving them! My boys were so excited to show them to her! She kicks her little legs and moves her little hands all around! 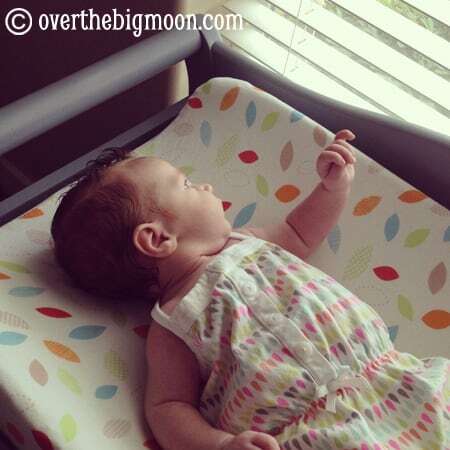 She loves looking out the window when I change her diaper! Sometimes she’ll seriously lay there for like 15 minutes afterwards and just stare! She just broke the 10lb mark this last week! hehe 🙂 She’s still tiny, but starting to get a little fat on her bones! 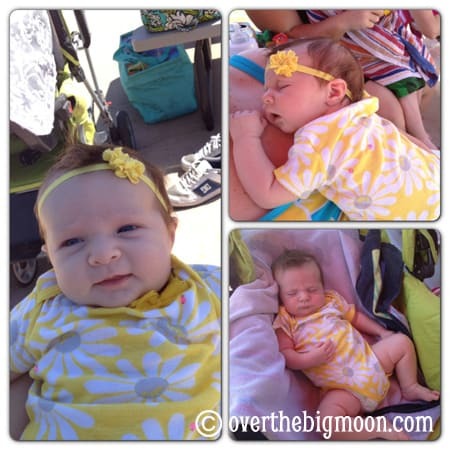 95% of her clothes are now 0-3 months, with a few lingering newborn outfits! She now is tolerating her baths! Maybe even enjoying them a little!! She has started to “talk” a little bit! She coo’s and squeals! Sometimes her squeal will startle herself – it’s pretty funny! I’ll be honest – I’m still pretty exhausted and haven’t figured out how to balance this new life completely, but we are slowly getting back to normal. In a few weeks Nathan starts Kindergarten and Jeffrey starts his first year of preschool. I’m looking forward to getting a schedule back! My boys have been fighting like CRAZY and the break from each other each day will be good for them! 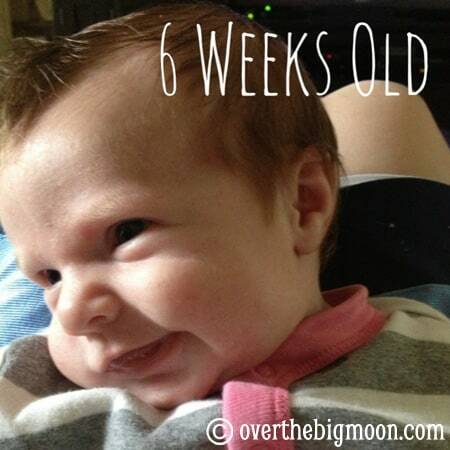 Plus, I’m thinking Dylan will start putting herself on a little more of schedule in the upcoming 4-6 weeks. All and all I just function a million times better with a schedule! Also, I couldn’t not mention that my 1st born turned FIVE last week! He was super stoked to get a Dirt Bike for his bday! His dad was just as excited as he was too! My husband, Scott, has been waiting patiently for this day! 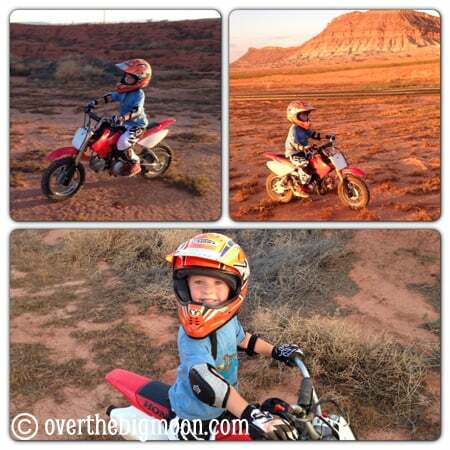 Here is a video of Nathan on his first evening of riding! Well, have a great weekend everybody!